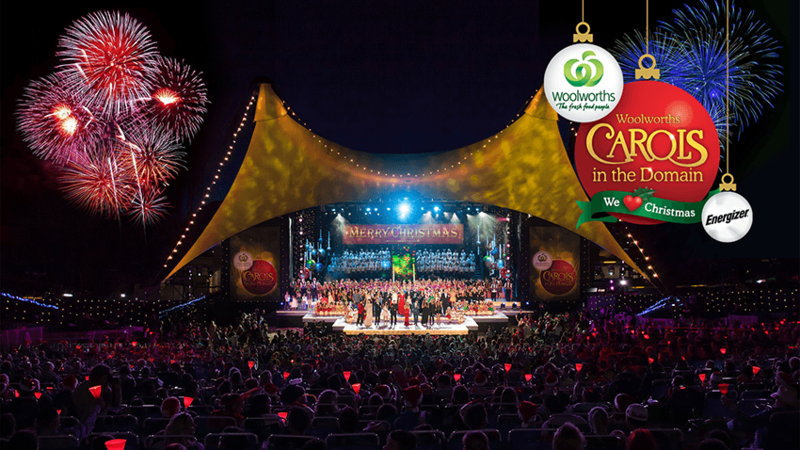 Woolworths Carols in the Domain is Australia's largest Christmas concert. 2018 will be the 36th year of this iconic star-studded Christmas celebration held in the Domain adjacent to the Royal Botanic Gardens. Entry is by printed ticket or mobile device only. All patrons must be seated by 7.30pm. *Seating is low to the ground and may not be suitable for all patrons. Limited Mobility Seating: please contact Ticketbooth Customer Support for available options. Companion Card: Woolworths Carols in the Domain honours Companion Cards. Please contact Ticketbooth Support before purchasing tickets.